A warm bamboo massage is very soothing. The strokes stimulate sensational relaxation. Our body treatments are designed to exfoliate and hydrate the skin, leaving it soft and smooth. 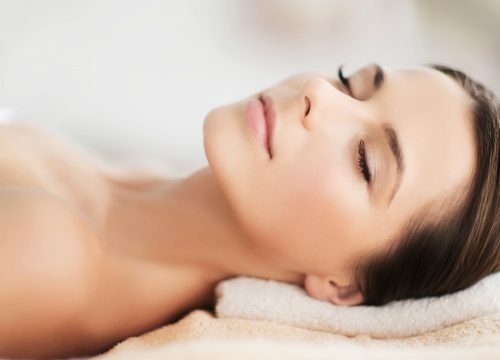 Think of these services as a facial for your body! We would be honored to have a part in making your special day spectacular with our Bridal Package. Relax in the privacy of our couples massage suite, as our therapists release the tension and stress from your body. Schedule your Cupping in Dover, New Hampshire Cupping uses suction to release toxins and adhesions due to pain and injury. A deep tissue massage is similar to Swedish massage, but deeper pressure is applied. The DevaCurl cut is a revolutionary cutting technique designed for all natural textures, from wavy to super curly. 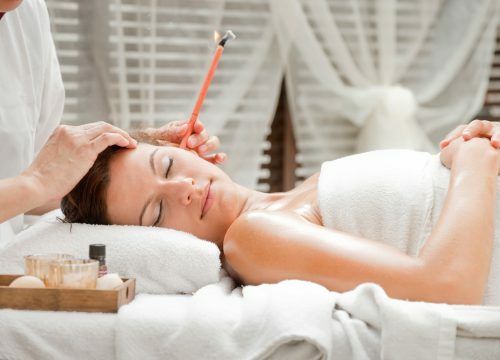 Ear coning (or candling) is a relaxing, non-invasive procedure for removing excess wax and toxins from your ears and eustachian tubes. 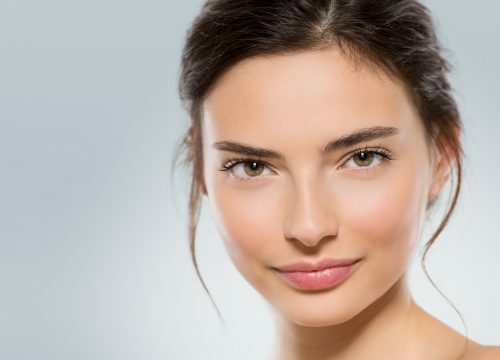 Eyebrow tinting can provide you with full, natural looking brows. Our licensed estheticians specialize in safe, customized eyelash extensions. 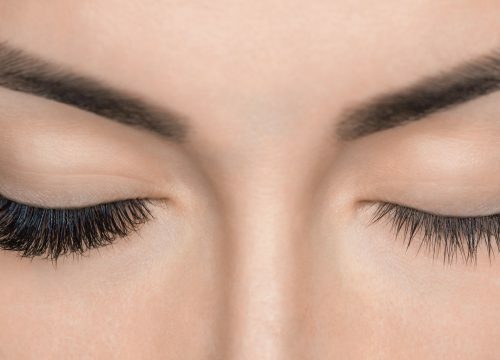 Schedule an eyelash lift to add the perfect curl to your natural lashes. 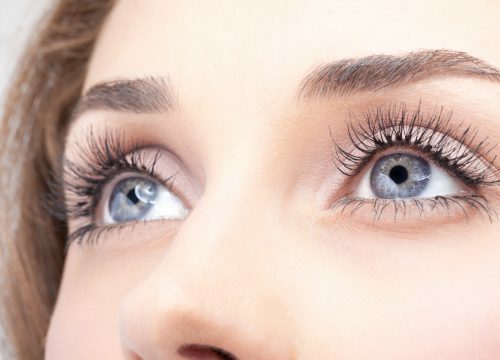 Eyelash tinting and eyebrow tinting can help give your eyes a darker, fuller, more dramatic appearance. 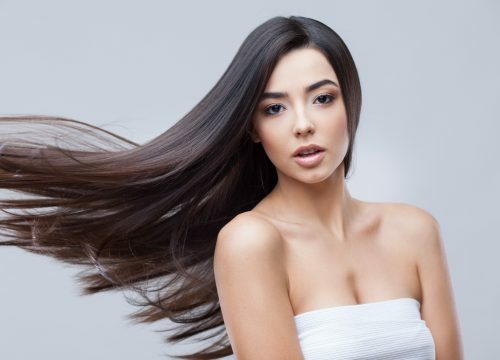 The F450 Smoothing Treatment controls unwanted volume, frizz, or wavy hair for up to 12 weeks. With hair coloring & highlights, you can enjoy an outstanding client-centered service in our classic salon. 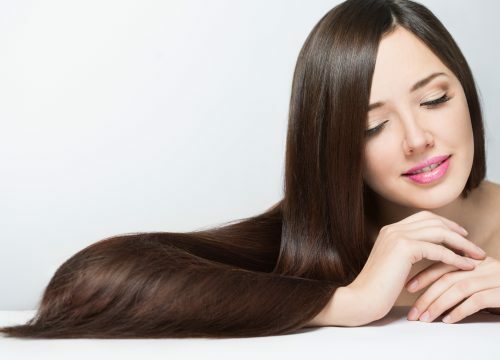 Add fullness and length to your hair with hair extensions. 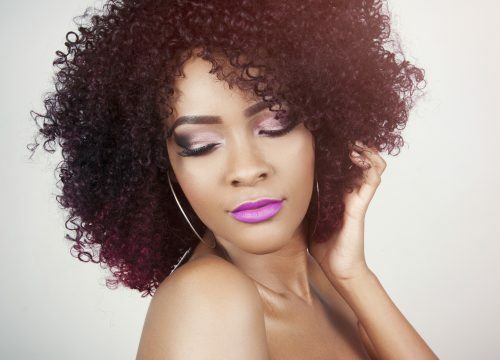 Enjoy hair styling services in our classic salon. 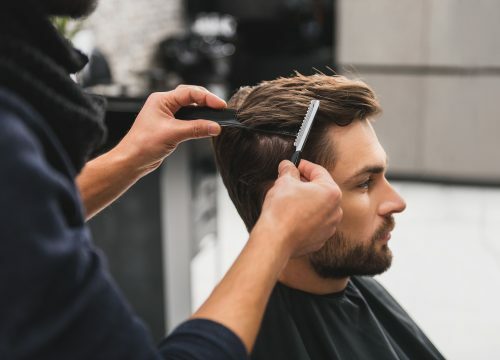 Using the best professional products available our professional stylists are committed to helping you look and feel your best. Get pricing for our male cuts, female cuts, Deva Curl cuts & kid's cuts. A hot stone massage is deeply relaxing. Heated stones are moved to massage and heat each part of the body while larger stones are placed along the body to warm the tissue. 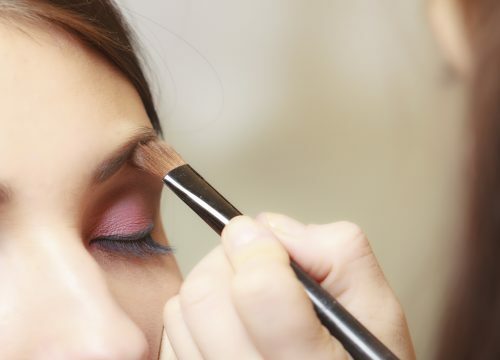 We provide professional makeup services, including mineral makeup and bridal makeup application. 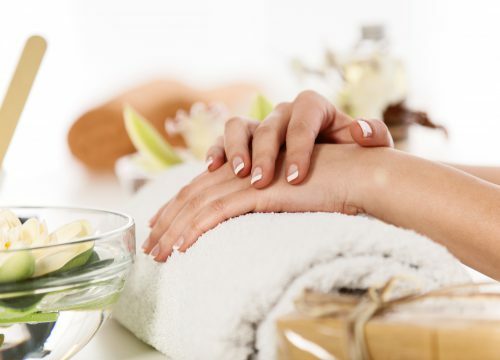 Manicures are a cosmetic beauty treatment for the fingernails and hands. Our medical ear piercing is developed entirely upon what is known as "modern aseptic technique" within the health care industry. Our NH licensed cosmetology, esthiticians and manicurists are highly trained in safe, effective practices of providing pedicures. With laser hair removal, we can reduce & remove unwanted body hair rapidly, & treat large areas of the body. A prenatal massage helps to soothe the aches and pains related to pregnancy while giving you some much-needed relaxation. Reflexology targets trouble areas of the body by applying pressure to the feet and hands. Our spray tanning treatments are not the typical, unnatural-looking spray booth tans that leave you looking orange and streaky. 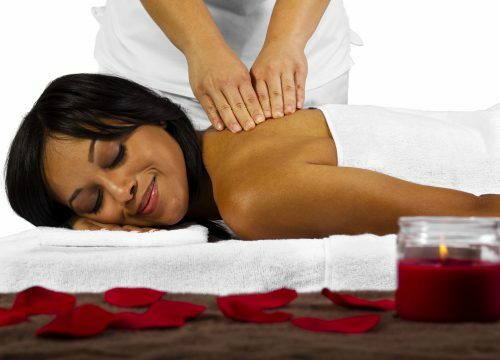 A Swedish massage uses a combination of massage therapy techniques in one session. Your therapist will work with your soft tissues and muscles in order to restore balance & health. 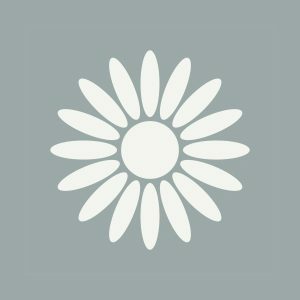 A therapeutic massage can be stimulating or soothing, depending on the depth and speed of the massage technique. At Skin Health Medi-Spa, we provide waxing services for multiple areas on the face and body.